Cuarta 210, Zona Centro, 22800 Ensenada, B.C. Vote for our project and help us generate a change! 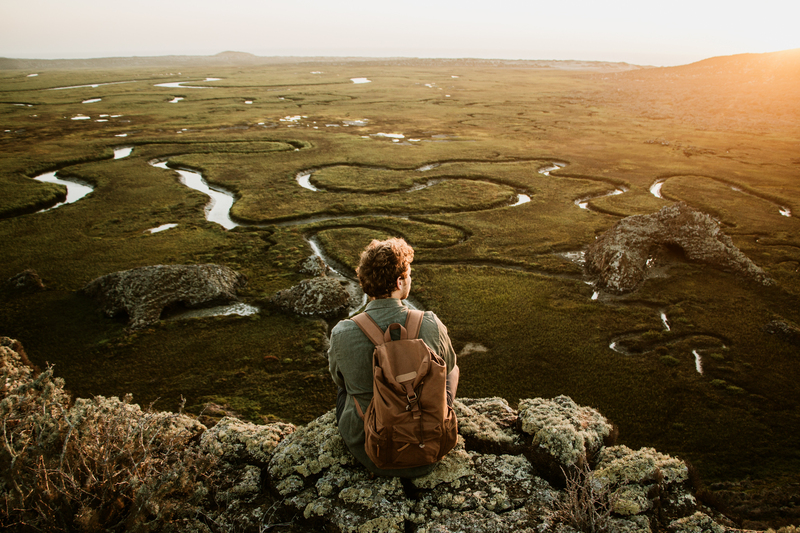 We focus our conservation efforts on wetlands of the Baja California peninsula, therefore, we seek the support of the European Outdoor Conservation Association (EOCA) to carry out our project '' Reduction of plastic pollution in wetlands of Baja California ''. The objective is to work with communities and companies to improve waste management and prevent damage to the flora and fauna of these ecosystems. 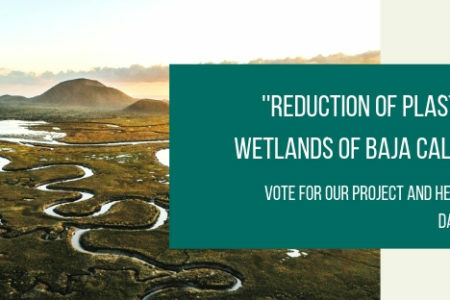 To vote, follow this link and look for the project ''Reduction of plastic pollution in the wetlands of Baja California, Mexico''. Reduzcamos la contaminación por plástico en los humedales. We are a nonprofit citizen organization working to achieve conservation of wetlands by balancing development and protection of the environment for the benefit of present and future generations. We are located in Ensenada Baja California, Mexico, and we work mainly in the northwestern part of the country. Promote and establish a system of preserved wetlands in northwestern Mexico, Led by local communities and through schemes that allow the continuity of the ecological processes and environmental services provided by these ecosystems, for the benefit of present and future generations. Consolidate a system of preserved wetlands in northwestern Mexico. 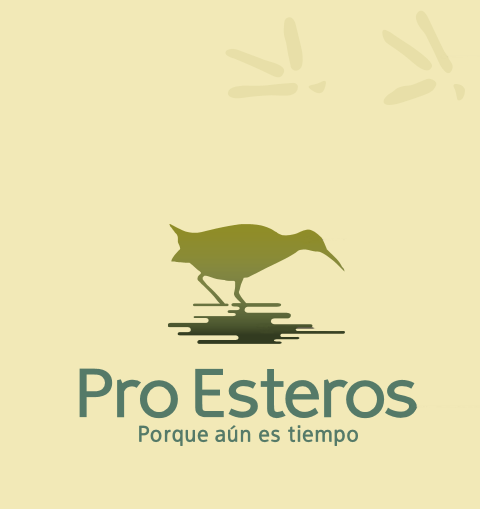 Blog dedicated to the dissemination of environmental conservation issues and to the activities we do in Pro Esteros. 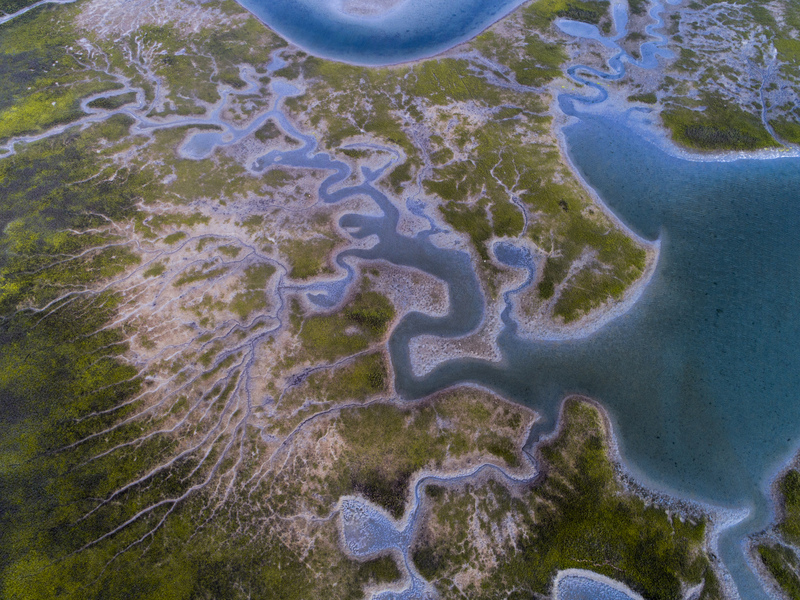 30th Anniversary of Pro Esteros, A.C.
Coastal wetlands are among the most productive ecosystems on the planet: In addition to providing shelter and food for many species of flora and fauna, they also benefit people living close to or dependent on them. However, globally these are disappearing. In the last 40 years, the area of wetlands has been reduced by 30%1 so their care, conservation and rational use is imperative. With this in mind, at Pro Esteros we carry out research projects to acquire scientific bases to guide the conservation and sustainable management of wetlands, and transform that integral knowledge into environmental education projects, to then share this information with the user communities and beneficiaries of the wetlands, Which allows us to establish long-term relationships with them and to encourage them to be strengthened and participate in the analysis and decision making on the best use of them, through an adequate management. We promote and facilitate the participation of people, organized groups, institutions and communities in the conservation of our wetlands. For this, we work in four different areas. Through the actions of Environmental Education we seek to sensitize local communities about the environmental services provided by the wetlands of the region and their contribution to their quality of life. With the efforts made in this line, we support the authorities of the three levels of government to achieve the establishment of new protected natural areas and Ramsar sites. 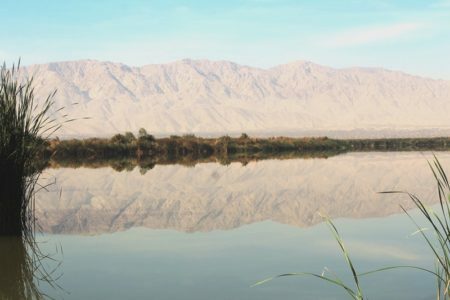 In order to achieve our mission, it is essential to have the necessary information on the wetlands of the region, which is collected or generated in order to support and direct the strategies of management, environmental education and community strengthening. 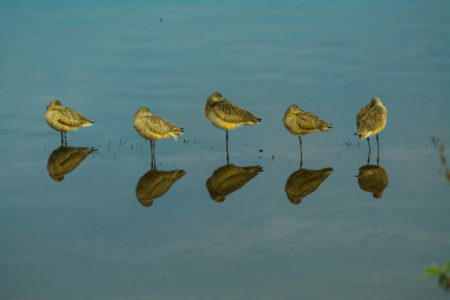 Through our activities we have developed research, management, education and community strengthening projects for the protection of the wetlands of Baja California. Work was done on this project through an agreement between Pro Esteros and the Secretariat of Environmental Protection of Baja California. 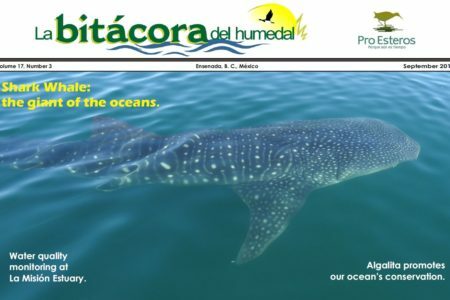 Case study of environmental and socioeconomic management: Área de Protección de Flora y Fauna Cabo San Lucas. This study analyzed the environmental services generated in four wetland systems in Baja California, Mexico. And it analyzes the institutional arrangements in the market that determine the use and conservation. It is a quarterly newsletter in which you can learn about wetlands, their importance and the activities that are carried out in Pro Esteros. Wetlands are vital to human survival. They are one of the most productive environments in the world, and are cradles of biological diversity and sources of water and primary productivity from which innumerable plant and animal species depend to survive. 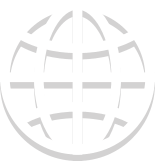 Wetlands in Mexico and the world. 6% of the Earth’s surface is made up of wetlands. Mexico ranks 2nd in the list of Ramsar Sites. © 1988-2017, Pro Esteros A.C.
Desarrollo web por Espacio Marino.